Day 2 At The Westin Jekyll Island - Great Food, Beauty, And Pool Time! 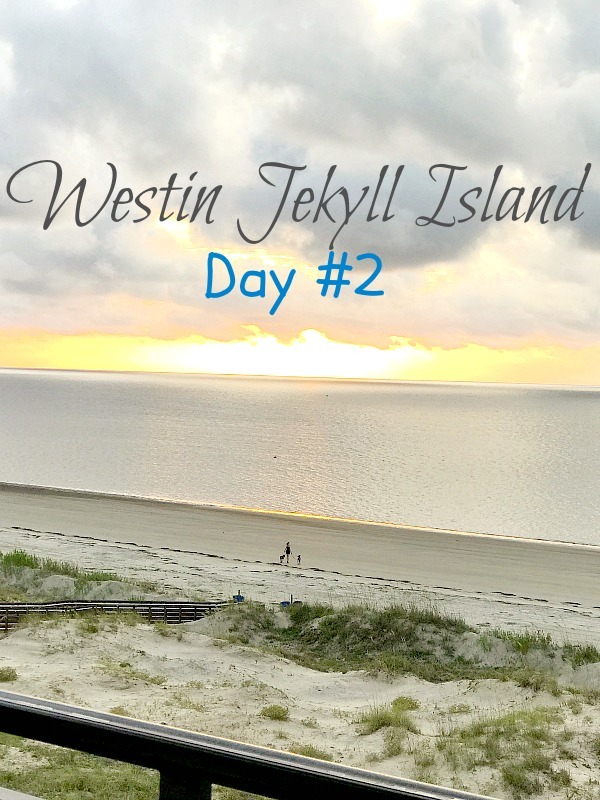 Day 2 At The Westin Jekyll Island – Great Food, Beauty, And Pool Time! Day 2 at the Westin Jekyll Island Hotel is turning out to be the perfect spot for a quick getaway. Everything is so convenient! 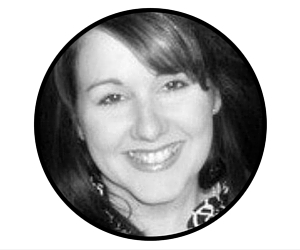 (I spoke yesterday about day #1 of our Jekyll Island getaway). This hotel has it all AND is adjacent to the Jekyll Island Beach Village. 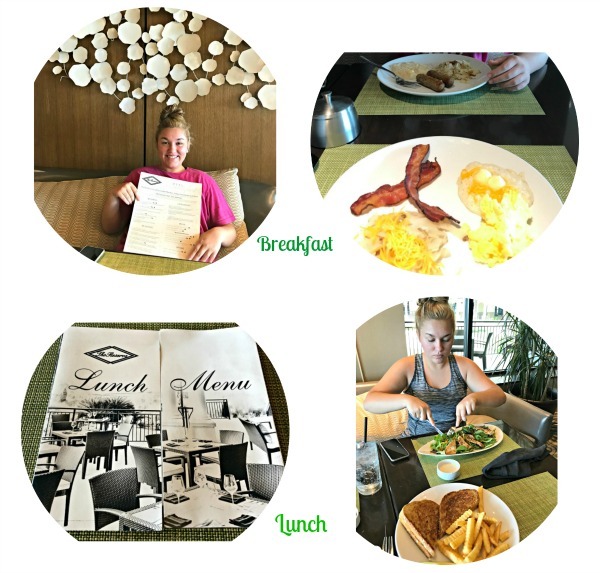 Our first full day is filled with exploration of our hotel’s amenities and food. 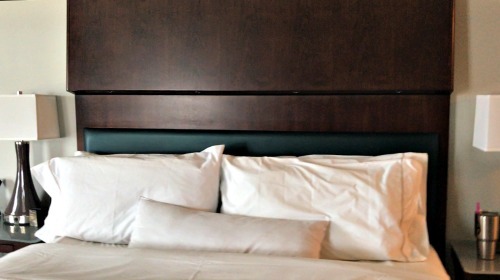 We slept so well in our comfortable bed (seriously, can I take this luxury bed home with me?). I didn’t want to get out of the coziness of this huge, king bed! Confession: I have this thing about photographing sunrises. The amazing Westin Jekyll Island balcony was the perfect place for this! I must have taken hundreds of shots of this view. I especially loved seeing so many folks enjoying the beach by walking, jogging, or hanging out with their Fido. What a delight to walk into the Reserve Restaurant of the Westin Jekyll Island so bright and early and find a hot breakfast buffet and a menu breakfast! We opted for the buffet of pastries, cereal, and fresh fruit covered one side. Warm scrambled eggs, bacon, sausage, grits, and hash browns filled the other side. There was also a cook standing near to freshly prepare waffles, pancakes, etc. We drank a lot of coffee and spent quite a bit of time hanging out since it was so early and the view was so incredible. We would have opted for an al-fresco breakfast even closer to the beach if the weather wasn’t so warm. The Reserve offers upscale but casual meals three times a day. Salty’s is a poolside cafe, and there’s also a rooftop lounge. We were excited about in-room dining and Uncle Vance’s Coffee Shop on-site as well. After breakfast, it was time to check out the rest of the Westin Jekyll Island. We took a stroll all over the property from the lobby to the fitness room. We took a short stroll to the beach on the boardwalk and then headed to the hotel’s relaxing pool area. We had a great time. Thanks to The Westin Jekyll Island for a wonderful trip! When do YOU plan to visit the Westin Jekyll Island? Follow along on Facebook or Instagram for more snippets of this family travel trip. Previous Post We Made It! Jekyll Island Getaway In Coastal Georgia! Next Post Family Friendly TV Shows Worth Watching This Summer! Sounds like a perfect day! And that bed looks so cozy! I can’t blame you about wanting to take it home! Oh wow! Those pics look amazing and I can tell y’all are having a wonderful time! 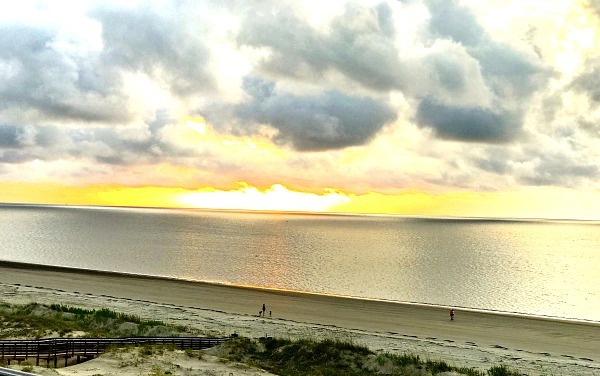 I haven’t been to Jekyll since I was a kid – might have to put that on the list next summer! I’m definitely bookmarking this post. 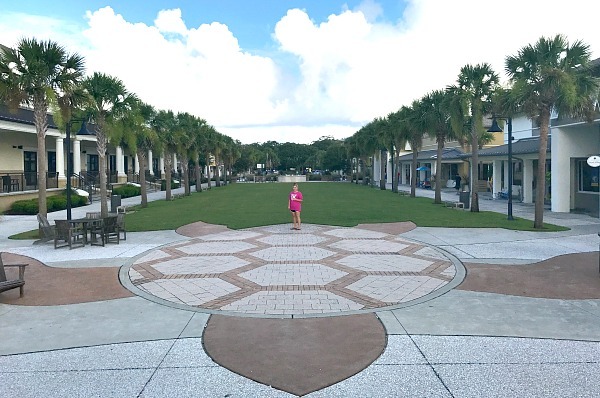 I’ve been considering planning a trip to Jekyll Island with my husband and it’s nice to see your photos and read your review. Thank you. Another beach spot I need to make it too!! When you live in Florida and can be at the beach in an hour, most of our other trips end up to less beachie places, but I need to change that soon. I really want to explore these little beach towns! And could use some extra sunshine right about now (the weather where we are right now has been dismal)!